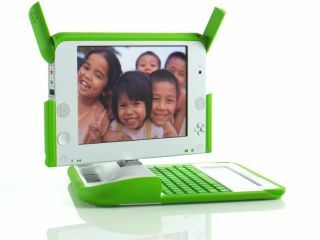 If you're ever able to get hold of one, you'll probably be pleased to hear that OLPC's XO Laptop is getting a speed bump later this year. The revision to the original design will see the current 433MHz AMD Geode processor replaced with a VIA C7-M CPU that can step between 400MHz and 1GHz. Gen 1.5, as they're calling the new XO, will also contain a new VX855 chipset that is supposedly able to handle high-definition video and 3D graphics, while being slightly easier on power consumption and cheaper to build. So, aside from making it likely that we'll be seeing thousands of Peruvian kids taking over Team Fortress sessions, we're also likely to get a price cut when the new machine rolls out in early autumn.